Ping Hai Star handed jockey Ryan Moore a first BMW Hong Kong Derby victory with a stunning last-to-first drive at Sha Tin on Sunday. 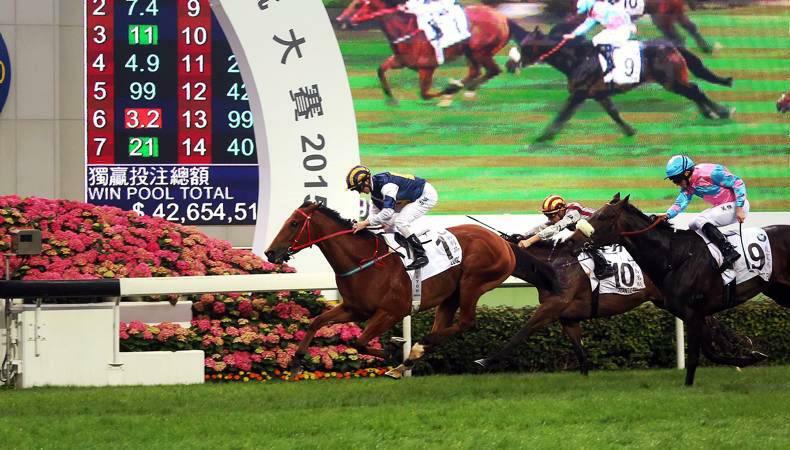 “He’s a very talented horse, I had great fun riding him today,” Moore said after the New Zealand-bred had quickened a length and three quarters clear of runner-up Singapore Sling in the HK$18 million classic. The exciting bay clocked 2m 01.18s, the fastest time in 19 runnings since the four-year-old feature was upped to 10 furlongs. After anchoring at the tail of the 14-runner field, 11 lengths astern of the pace-setting The Golden Age, Ping Hai Star blitzed through the final four furlongs. The only horse to break 23 seconds for the penultimate sectional (22.91s), the 5.2 chance backed that up with a searing 21.99s for the final two furlongs. That was 0.27s faster than the next quickest closing split, that of third-placed Exultant. “It wasn’t really the plan, to be that far back, at all,” Moore revealed. “I just felt I’d ride him with lots of confidence – I believed before the race that he was the one horse that could have more class than anything else in the race and I think that showed. It was a third win in the race for trainer John Size, with Ping Hai Star following Fay Fay (2012) and Luger (2015). “You can't win a race any more dominantly than that. 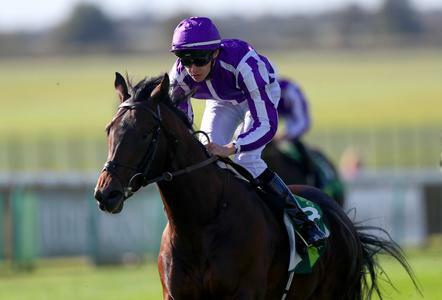 He was the class horse that came out of the pack, so he’s identified himself today,” Size said. Ping Hai Star went into the third and final leg of the Four-Year-Old Classic Series as an intriguing untapped talent. While his main rivals battled for honours in the first two legs, Size masterminded an assault on the series finale with three consecutive handicap wins at seven furlongs. No Derby winner before had headed into the race without a win at a distance of a mile or more. 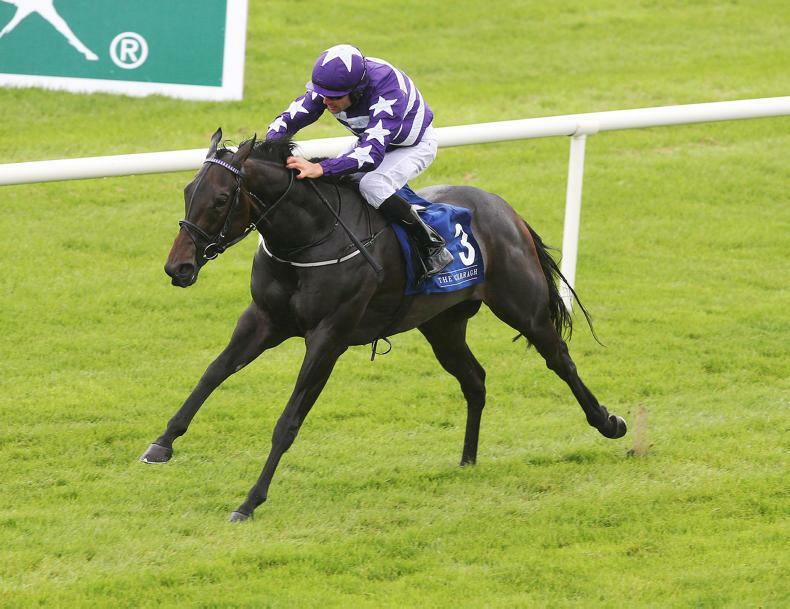 In fact, Size had indicated as recently as January that the galloper would likely stick to distances at a mile and under for the foreseeable future, thus sidestepping this year’s Derby. An impressive win two weeks ago prompted a change of plan. 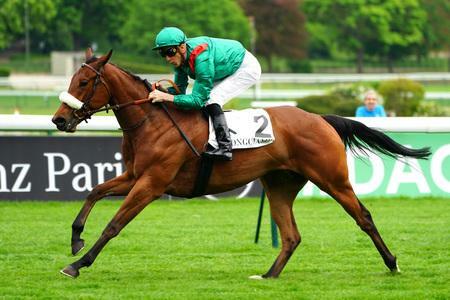 “The last time he raced, I saw something that I liked about him as far as a Derby prospect was concerned,” Size said. “He came from the tail of the field, he settled quite nicely, he was very happy to reel off some quick sectionals at the end of the race. The only gamble was whether he was fit enough and had the stamina to run 2000 (metres) with his inexperience. The plan worked. 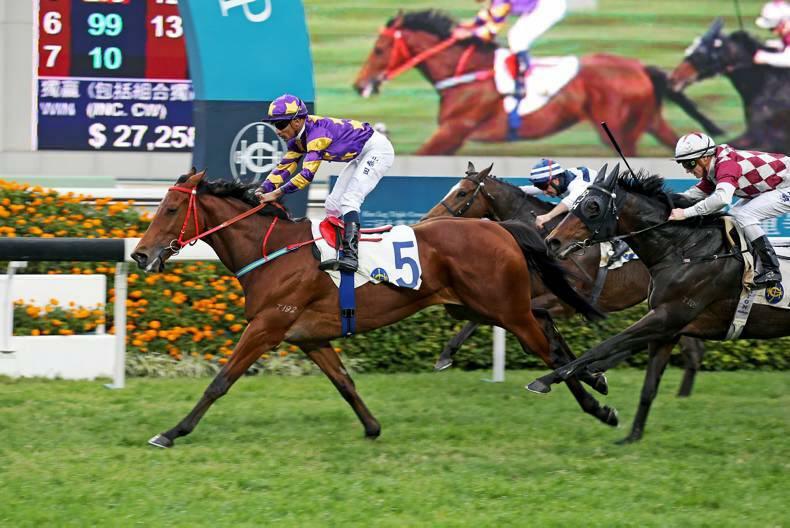 The Hong Kong Classic Cup one-two Singapore Sling and Exultant had no answer for the Nom Du Jeu gelding’s sustained acceleration. Hong Kong Classic Mile victor Nothingilikemore faded out to 11th, leaving Ping Hai Star as the undisputed king of the Four-Year-Old Classic Series. “We’ll have a think about what he’ll do; I’ll absorb what’s happened and look to where he goes now,” Size said. Singapore Sling’s rider Chad Schofield thought the silverware was his when he angled out to run home aboard the Tony Millard-trained galloper. Millard was impressed with Ping Hai Star’s performance, as well as pleased that his own stable star had posted another high-quality effort. Zac Purton settled Exultant one spot ahead of Ping Hai Star in the run but had no answer when the winner shot by. The jockey said it was “a solid effort” by the Tony Cruz-trained 3.4 favourite. The John Moore-trained Ruthven showed improved form to finish two and a half lengths fourth under Damien Oliver at odds of 21/1. “At the 200 metres I thought he was a real chance but he just found the top three a bit strong for him today,” Oliver said. 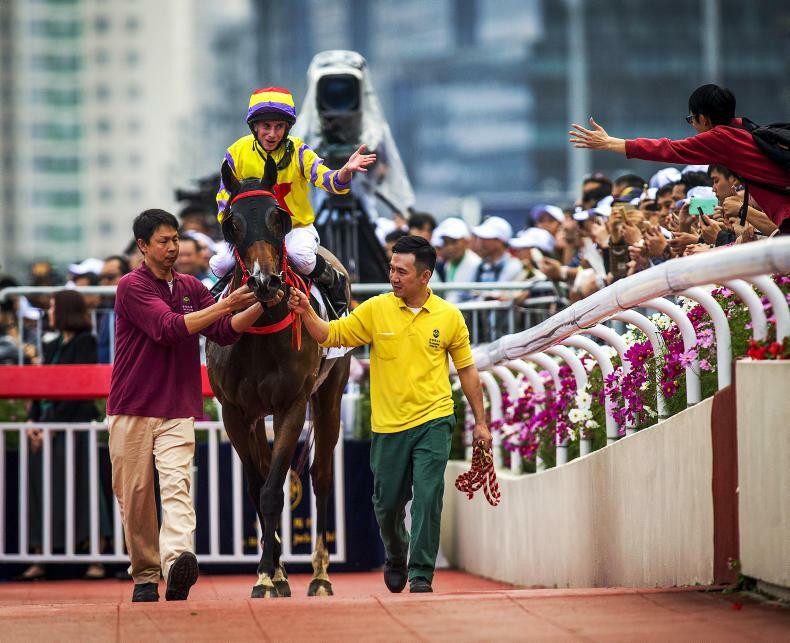 The Size-trained Nothingilikemore (4.1) was the top-rated four-year-old heading into the Derby but the Hong Kong Classic Mile winner performed below his best at the extended trip. 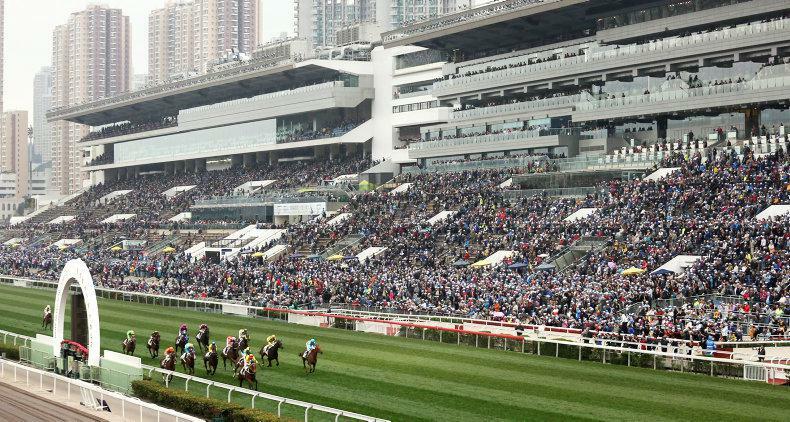 A crowd of 67,205 roared on the Derby winner, while the afternoon’s turnover was a new record for the day at HK$1.626 billion.